Maharashtra: Only after a recent report in the media did a Colaba based doctor couple realise that they are now facing a suspension of three months of their practice by Maharashtra Medical Council. Though the doctors (Aniruddha Malpani and his wife Anjali) at the South Mumbai clinic claim that they have not yet recorded any suspension order, legitimizing the issue of wrong-doing in advertising; still, they are now approaching the Bombay HC over the matter, apparently to stay any suspension and allow practice. 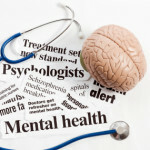 The grievance they plan to submit in court will broadly imply that the matter (the website program) is appearing to be misunderstood by the Advertising Standard Council of India (the complainant) and the Maharashtra Medical Council (who is reported to have issued the suspension order for three months). This, the plea claims is happening after it has been explained to them exactly how and why it is offered’ clearly denying any intention of false claims or misleading patients. In addition, even a short dismissal of their services is likely to create a stress as it will leave many patients unattended at the IVF clinic. The clinic has been in operation for 25 years, and hence has been attending to a continuous flow of patients. Therefore, they are planning to approach the court in the interim. They have also expresses their concern over the matter implying that the issue has not even been property investigated by the MMC, and we now hear about a suspension. 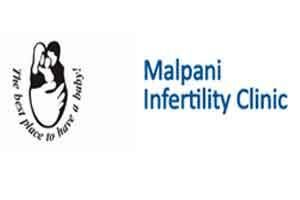 As reported by TOI, in their plea, they seek to contend that the Malpani Infertility Clinic “founded in 1991, provides comprehensive services, including IVF, ICSI, surrogacy and egg donation, besides starting the country’s first sperm bank”. They claimed that it started the guaranteed pregnancy program on a system legitimately followed elsewhere in the world.